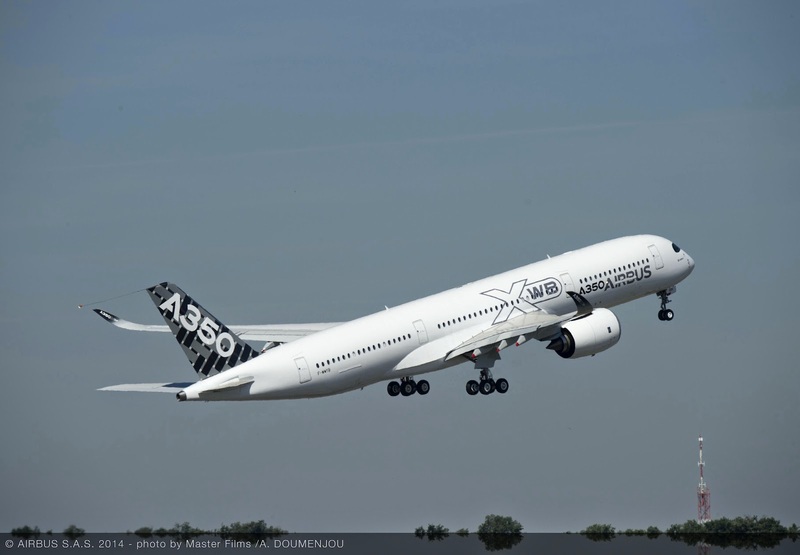 A350 XWB News: A350 XWB family-strategy and the A330neo. Will the A350-900 orders decrease if the A330neo is launched? 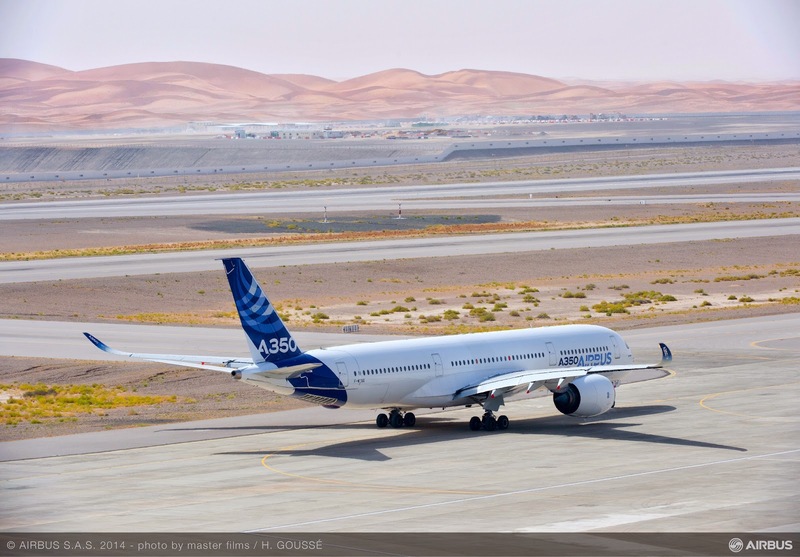 A350 XWB family-strategy and the A330neo. 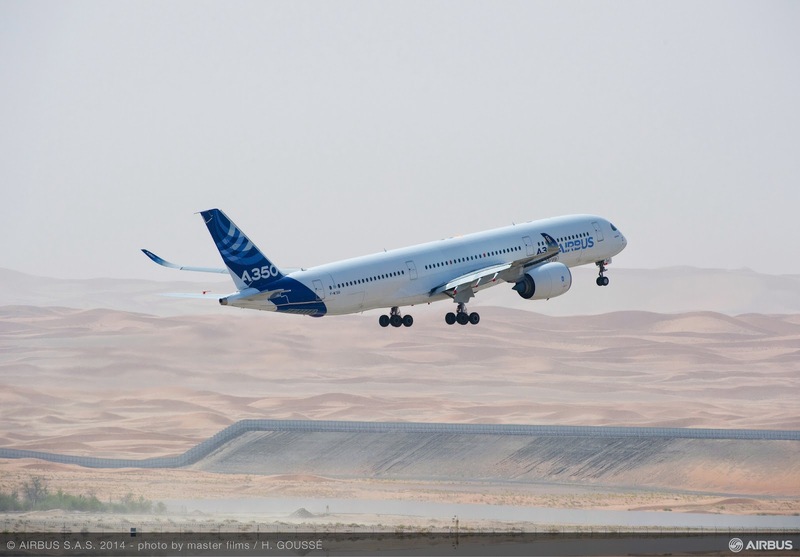 Will the A350-900 orders decrease if the A330neo is launched? 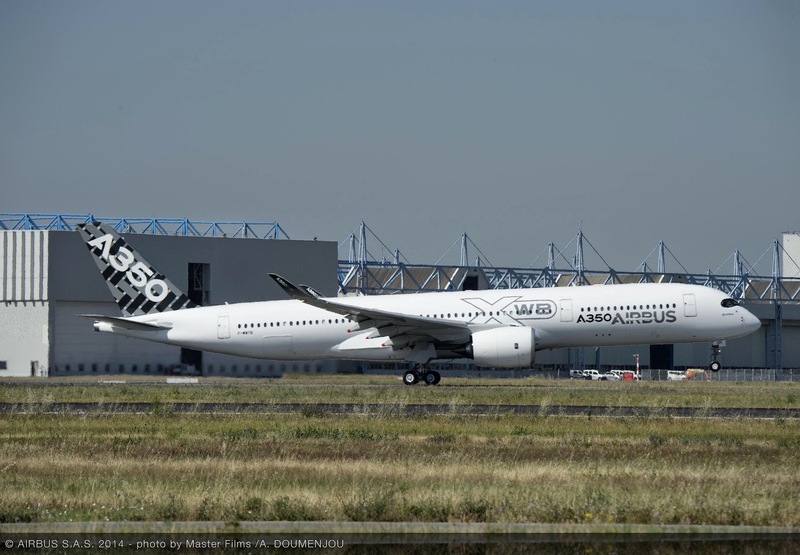 Vero Venia analizes in his blog what he called the “A350XWB strategy” now that the rumours about a possible A330neo launch become stronger everyday. Several years ago Airbus was promoting its A350XWB as the unique family that fulfils all kind of airlines’ requirements for the twin aisle market segment. Basically, they say that Boeing needs the 787 and the 777 to cover the same market. The A350XWB strategy was set in 2006 and has been in execution since that date. In simple words, if launched, the A330neo is clearly an admission of the failure of the famous “A350XWB strategy”. Finally, Airbus will admit that you can’t cover the twin aisle market with only one aircraft family. If ever Airbus launches another aircraft to address the 400 seater market, then It means that the A350XWB strategy would become a double failure. The big question is whether the total A350-900 order tally will remain at around 600 units or will it decrease slowly, especially if the A330neo is launched. Taking a wild guess and speculating in a random blog is called analyzing? VV is a biased, smug, and self-righteous blogger with nothing of importance to convey. This article is biased and makes the assumption that the 777-9 needs to be countered because that's where the market is. There is no evidence that the market prefers the 400 passenger aircraft. Maybe in the Middle East and some of Asia. The A350-900 and 1000 were designed to compete with the 200 ER and the 300ER in current forms and to replace the A340/330 family. No one knows how the 777-x will do outside the Middle East and Asia and whether the news markets will open for these aircrafts. One of the reasons the A350-800 did not so well is because the 787-8 came out way before it so large purchases were made in that segment. The A350-1000 still remains the most ideal aircraft to replace the 300-ER unless everyone develops megalomania like Emirates. The A330 Neo's will likely replaces existing A330's. 300 seat market > 350 seat market > 400 seat market. The sweet spot in the market is a moving target according to Boeing and VV. Whatever product Boeing has on offer will thus always be in the "sweet spot" according to them. It's pure marketing. The question is, why does VV act like he's a "useful idiot" for Boeing? Everyone who goes on about Airbus having made a terrible error and should have positioned the A350 range up to the obviously well-placed 777X seems to forget that the 777X is actually a response to the A350! If the A350 wasn't doing well in the range it covered (okay, except for the -800) then Boeing wouldn't have aimed for the gap above it... the fact they *did* indicates the A350 was following a good strategy! And as Joe points out, the -X is doing okay but is not running away with thousands of sales, so in fact nothing to suggest the A350 was a mistake. It's the Boeing surrogates who are claiming that the A350 is not positioned well. It's not a very accurate analysis, of course, but that's what they want to believe. Vero Venia is a man not a she. Uppps, I thought Vero Venia was a woman. Fixed. Thanks for all your comments. All opinions are welcome. Vero Venia seems to hold a serious grudge against Airbus. Apparently, he was laid-off some time ago and he's been very angry ever since. "Everyone who goes on about Airbus having made a terrible error and should have positioned the A350 range up to the obviously well-placed 777X seems to forget that the 777X is actually a response to the A350!" This is not the correct interpretation. The 777-9 and 777-8 have always been in the plan. Airbus should have known it when they launch the A350-1000. It is unproductive, if not totally absurd, to put the A350-1000 in head to head competition against the 777-300ER. How can someone think that an aircraft that is planned to enter into service only in 2017 should be put against an aircraft that entered into service in 2004 or 13 years earlier. The A350-1000 should have been designed to be the competitor of an aircraft that would enter into service around 2017/2018. You just don't live in the past. In addition it is simply unproductive to announce your "strategy" thirteen years prior to the introduction (2004 to 2017). It leaves ample time for the competitor to think about everything. I would like to invite you to read carefully one past post in my blog published back in 2009 "The Third Movement"
PS: Yes, I am a man. You should really make an application to airbus. I'm sure they are waiting for someone like you.. I think he worked there and decided to leave Airbus a few years back. More precisely it was a voluntary redundancy (or voluntary leave) associated to the Power8 programme, end of 2008. "The 777-9 and 777-8 have always been in the plan. Airbus should have known it when they launch the A350-1000." So you're saying A) that Boeing already had the 777X plans *defined* back when Airbus was flapping around trying to decide what the A350 was going to be (i.e. *before* the 787 programme was even past the early design stages) and B) that Airbus also knew exactly what the 777X was going to be back then as well...? the matrix is not only about passenger size. it is also about cargo capacity, operating and ownership costs.. I am not a friend of the 330neo, however, if Airbus says there is so much demand that they can fill the 350 line with more expensive -900s, -1000s and afterwards even -1100s, and must thus cover the lower end with 330neos, then I must believe it. Indeed, if they say the A330neo's business case is good at corporate level (that is including possible degraded A350 business case) then we must believe them. I think the A350-1000 will prove the mostsuccesfull big twin in a decade. The 777X version are just too heavy and lack long haul comfort in economy. The market will grow into the A350-1000, like it grew into the A333 and A321. And isn't the 777-x already a stretch of a stretch, so not sure what vv is on about when talking about the Airbus. VV is well liked by the A-bashing crowd as he only writes about Airbus in a negative sense. The 777-9 has completely new wings and engines. The A350-1000 is under development in parallel with its "baseline". My gut feeling says that the A350-1000 cannot be very successful, but you do not need to believe to my gut feeling. What is ridiculous is that you're ignoring the possibility of the 777X being "boxed in" by the A350-1000 and an all new Airbus mega twin family. There's no point for Airbus to announce anything before the commencement of 777X production. The 777-9 is going to be a very expensive one-trick pony as, for example, its MTOW can't grow beyond 352 tonnes due to the triple triple bogey main landing gear being "maxed out". The smallest member of an Airbus mega twin family should about the same cabin length as the current 777-300ER, but with an internal width of 266 inches which would provide for a generous 11 abreast configuration with 18-inch-wide seats, 2-inch-wide armrests and 20-inch-wide aisles. It would have the same triple bogey MLG set-up as the 77W, A350-1000 and 777X. The larger members of the mega twin family could have a 747-type MLG. This would mean that the wing of an all new Airbus mega twin family could be shared by three family members while the wing of the 777X can't be used on any other competitive Boeing offering, bar a freighter version. The mega twin would also likely use an engine that would be some 5 percent more efficient than the GE9X on the 777X, and it could be fitted to the A350-1000 as well. The difference between the 777-classic and the A350 family is the fact that orders essentially stopped for 777-200ER when the 777-300ER entered into service, while the A350-900 and the A350-1000 will have a much better synchronous manufacturing process and product life cycle than what was the case with the two top 777-family best sellers. Yes, and I'm sure the Airbus "mega twin" will be in service by 2020 as well. 2025 would do just fine. It would severely curtail the production life cycle of the 777X and would leave Boeing with the 787 as the only viable product in their wide-body portfolio. How would the 777X be able to compete with the smallest member of an all composite member of a mega twin family that would be significantly wider than the 777X, but which would not be much heavier and which would be using engines even more advanced than the GE9X? For now, that Airbus Mega-Twin is a pure fantasy from random people. Airbus has never ever mentioned any possibility of a Mega-twin that would kill the business case of the A380. On the other hand, Airbus has stated that they don't plan to do any clean sheet aircraft for the next 15 years. An A350-1100 is more likely to happen, but even that version isn't likely before 2022. So are you saying that the A380 should be scrapped? I don't know of many airlines that would still buy the double decker if there was a "mega twin" on offer, with a better business case economical, with up to 450 (or more) passengers and probably more cargo capable as well. and all of that for a ever better price tag? Not at all. The A380 has an enormous upgrade potential. The smallest mega twin would have a floor area of around 375m2, while the bigger models would have floor areas of around 420m2 and 470m2. In comparison, the 777-9X, 747-8I and A380-800 have floor areas of 355m2, 415m2 and 545m2, respectively. An A380-900 stretched by 7m over that of the A388 would have a floor area of around 625m2; or about 35 percent larger than the biggest mega twin. An A380-1000 stretched by 14m over the A388 base model would have a floor area of more than 700m2; or about 50 percent larger than the biggest mega twin. An A380-900 would have the same number of LD3 positions (48) on the lower deck while an A380-1000 would have 58 LD3 positions available on the lower deck. That's why stretching the A380-800 base model will lead to a product(s) with a very competitive cargo offering. Also, Airbus could develop an intermediate-ranged A380-derived giga twin that would use the same wing as the one that would be developed for the mega twin. Think A330/A340. Two giga twin models having about the same range as that of the current A330-200 and A330-300. I'm not sure, though, how Boeing would respond to such a development -- a mega twin and a giga twin developed concurrently using a multitude of common hardware (wing, landing gear) and common systems etc. Airbus could even choose to construct the fuselage of the double-decker giga twin using the same 2nd generation composite panel technology and production infrastructure as that of the mega twin, although it would be dimensionally identical to the fuselage of the A380. If Airbus would decide to go for a an all composite giga twin, then the A380 stretch aircraft would very likely use the same composite fuselage. Add new generation engines, and you'd have a very competitive A380 family that would be perfectly positioned to cater to the projected 100 percent increase in global air travel 15 years from now. NB: The number of LD3 positions available for an A380-900 would be identical to the lower deck cargo capacity of the 777-9X (i.e. 48). That all sound real good on paper, but even as big a company as Airbus is, there is no way they can take on a "mega twin" and an A380 stretch at the same time. Making the A380 out of composite would be a real major undertaking. Think of the many huge panels that would have to be created when right now suppliers are having a tough time as it is building the the A350 panels. Engineering wise, that's is another constraint. How many engineers would have to be pulled to work on a massive mega twin and an A380 stretch? Sure they can. We are not talking about something that Airbus would develop tomorrow, but rather for entry into service in the latter half of the next decade. Airbus wasn't finished with the A380 when the A350 got under way, at a point they were already hard working on the A400M. Now, one way to make the mega twin and giga twin affordable would be to maximise commonality. Think of the mega twin as a single deck version of the giga twin and where everything apart from the empennage section would be similar, if not identical in the lower lobe beneath the main deck floor beams. Also, as the A350 cockpit section is derived from the A380 cockpit section, so could the mega twin use the same cockpit section as the A380 and the mega twin (i.e similar if not identical below the cockpit windshield, different tapering above). Like on the A380, Section-41 on the A350 is made of metal, hence it would be a smart moving re-using as much from the A380 as possible. Creating all of these huge composite panels a decade hence should be doable. The cost of re-designing the A380 fuselage (i.e except for the cockpit-section-41 and empennage-section-19), would be mostly payed for by the giga twin (A370X). Vero Venia blog has nice opinions about all kinds of developments in the industry. What I do not understand is how it justifies deleting all factual, backed up posts that conflict with the opening posts opinions. They just vanish without a trace or reaction. That just ain't right IMO. IMO Boeing got itself " boxed out" in a way with the smallish long haul 787 and oversized heavy 777-9.